Around 200,000 people a year suffer devastating health complications because of diabetes, a charity has warned – including amputations, heart attacks and strokes. Diabetes UK said its study exposed a “postcode lottery” in care for people with the condition – and said there was an urgent need for the NHS to make improving services a priority. Diabetes care costs the health service in the region of £8 billion a year – around 10 per cent of the entire NHS budget. The charity’s chief executive Barbara Young said the figures were an “absolute tragedy”. These complications have a devastating impact on people’s lives and are fuelling the high death rate in people with the condition, as well as meaning huge and often unnecessary costs to the NHS. With the numbers of people with diabetes rising at an alarming rate, it is vital that the government and the NHS act urgently to end the postcode lottery of diabetes care and ensure that all people living with diabetes get the support and care they need to live long healthy lives. In particular, the NHS must get better at giving people with diabetes the education they need to take control of their condition, and ensuring that everyone with the condition is getting their essential health checks, as they can help to identify problems before they develop into serious complications. 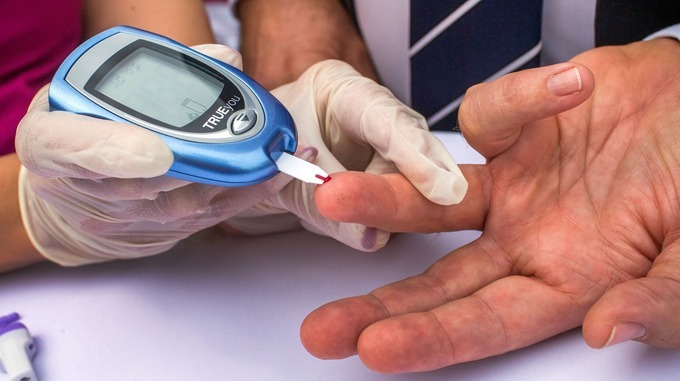 According to the National Diabetes Audit, carried out by the charity, 3.9 million people in the UK have been diagnosed with the condition – and this may rise to as many as five million in the next 10 years. Most of those have type 2, which is often brought on by being overweight. The data also revealed that little more than a third – 36 per cent – of people with diabetes are controlling it well by keeping with the recommended levels of blood pressure, blood glucose and cholesterol.